Goth history does not have a lot of supergroups, unfortunately. Robert Smith briefly played guitar for Siouxsie and the Banshees, and Peter Murphy occasionally works with Trent Reznor; other than that, it’s just not a genre known for epic team-ups. However, a few bands like Bauhaus, whose members went on to equally productive solo careers, have become retrospective supergroups, and none stand taller than the Sisters of Mercy. 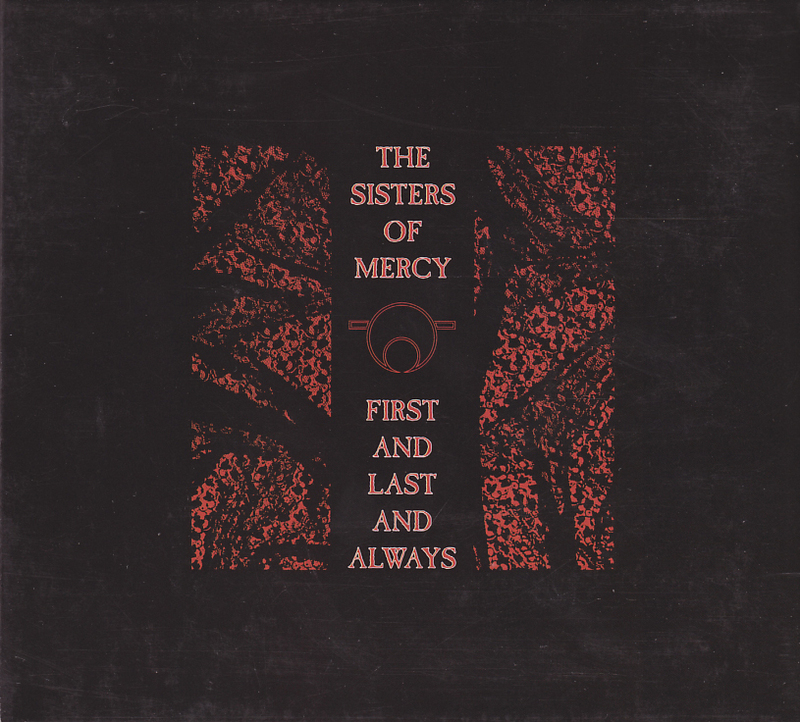 In 1986, the Sisters were an extremely hot commodity because they were brilliant, and front man Andrew Eldritch was a consummate music businessman with great acumen for getting what he needed. In 1985, the band released First and Last and Always, which as we’ve pointed out before is the greatest goth album of all time. First and Last featured Wayne Hussey’s inspired instrumental writing combined with Eldritch’s lyrics, laboriously composed during his split with a long-term girlfriend. If you own no other goth albums, you should own this one. By 1986, though, the band had frayed badly. Founding member Gary Marx was no longer on speaking terms with Eldtritch, with only Hussey holding the band together. Eventually the tension became too much and the Sisters went their separate ways. On the surface this was a dark day for goth (no pun intended), and we can only wonder what kind of genius Hussey and Eldtrich might have crafted together had the situation not deteriorated. Hussey seemed to be one of the few people that can hold Uncle Andy’s notorious ego and abrasiveness in check. On the other hand, that split led directly to some of the greatest albums of all time. Eldritch continued under the Sisters moniker and eventually crafted two masterpieces in Vision Thing and Floodland. He also introduced the world to the beautiful and iconic bassist Patricia Morrison, who later replaced Paul Gray in the Damned. Meanwhile Hussey would form The Mission, and also record a stream of incredible albums that are hard to beat including 1986’s God’s Own Medicine and 1990’s Carved in Sand. In addition to raising the Mission’s star, guest vocalist Julianne Regan moved into the spotlight with her band All About Eve. Goth got some new direction in 1986 when Fields of the Nephilim made their debut with Dawnrazor. The band had previously released an EP, but made a major upgrade when they joined a subset of Beggar’s Banquet to begin their string of metal-tinged, slightly psychedelic goth-rock. Nephilim is a band that has remained a somewhat fractured endeavor, but every time they do manage to get together to produce what is almost always a classic. 1986 was a time when many of the goth acts that had thrived so well in the early part of the decade began to lose cohesion under the stress of fame, touring, the rock and roll lifestyle, and inter-band tensions. The solid scene of the early ’80s was dying, and the next thing to come along would lack the general center that united goth as a movement. From ’86 on, goth could be counted on to be always slightly at war with itself. via The 5 Most Important Years In Goth Music: 1986 – Houston – Music – Rocks Off. Actually it was Jeffrey Lee Pierce who introduced Patricia Morrison to the world via his punk/blues/rockabilly/jazz group The Gun Club. She was with them for 1983’s Death Party E.P., 1984’s The Las Vegas Story L.P. and appears on the classic ‘Live’ L.P. Danse Kalinda Boom. Classic band! Agreed. I saw the Gun Club supporting the Banshees on the Tinderbox tour in Gloucester Leisure Centre (85? 86?) – I don’t remember much about the music, but I remember her! Oops! On consulting the record sleeve PM was not on the Death Party EP, due to being stuck in LA while recording was taking place in NYC, her place being taken for this record by one Jimmy Joe Uliana. (Apologies also for using the word classic twice, in consecutive sentences, in my haste to beat the time-out. “Sorely under-rated band” would’ve been better). For the uninitiated, the first 3 studio LPs (The Fire Of Love, Miami & The Las Vegas Story) and the afore-mentioned Death Party EP & Danse Kalinda Boom “live” LP, recorded by Dutch Radio, are essential. Check ’em out, G&A! Gods & Alcoves loves self-imposed pedantry. Self-fulfilling prophecies, and all that!